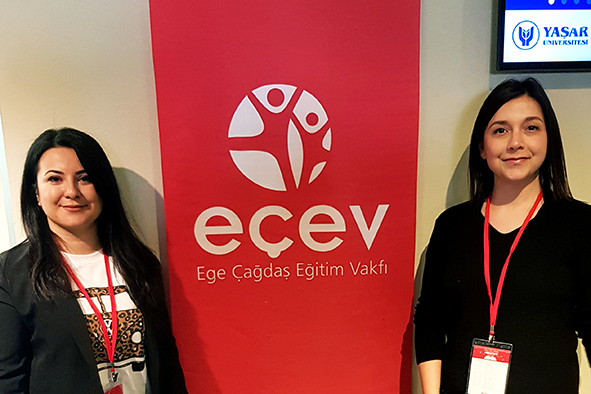 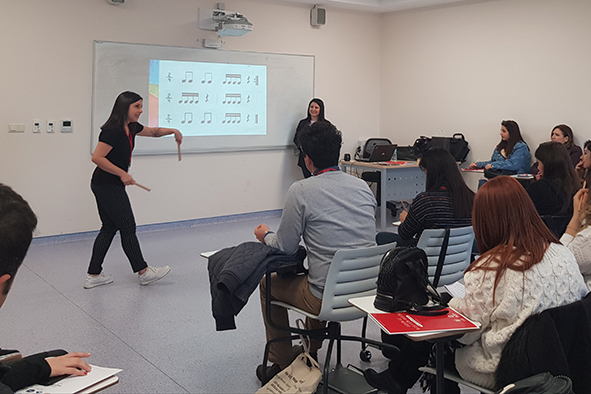 Our Music teacher Eda Koyagasioglu and Art teacher Didem Acar delivered a presentation on music and art activities for preschool students, which are designed in line with the PYP, in the 16th Innovative Creative Teacher Seminar, which is held every year by ECEV (Aegean Modern Education Foundation). 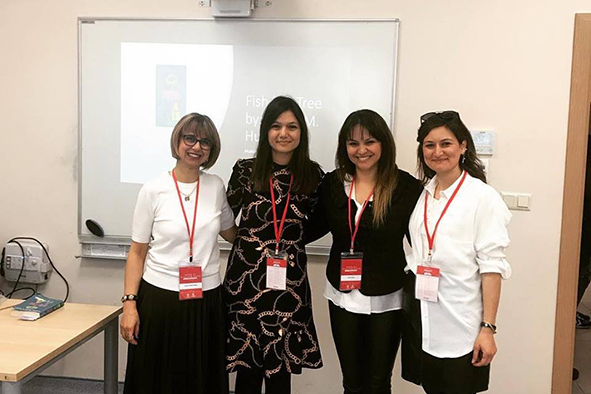 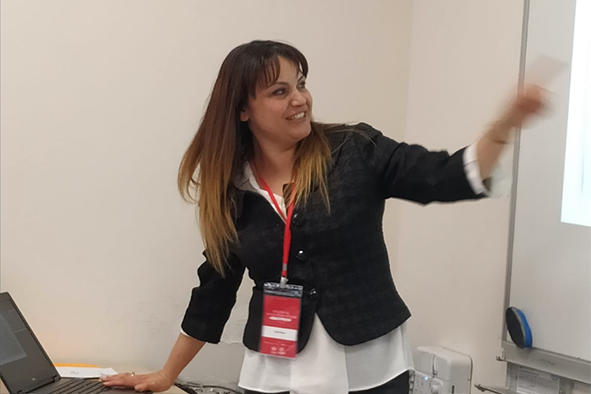 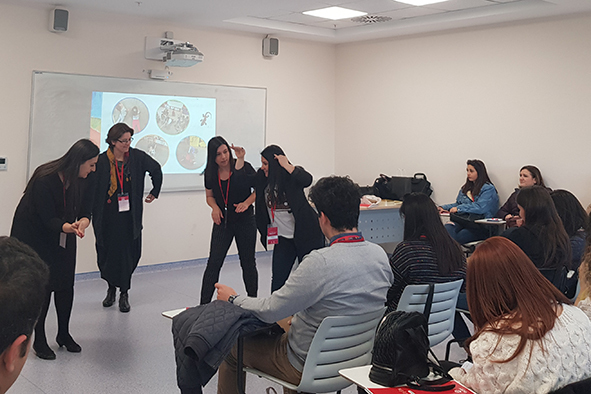 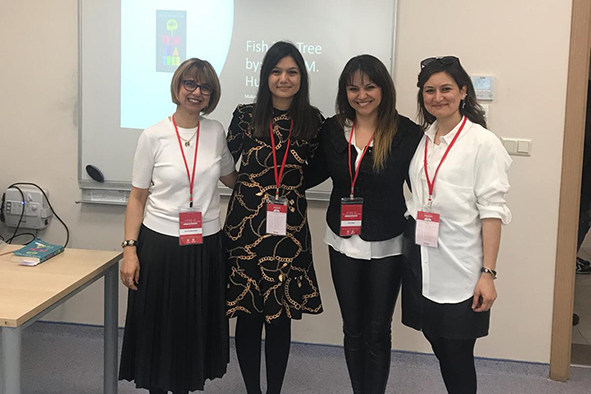 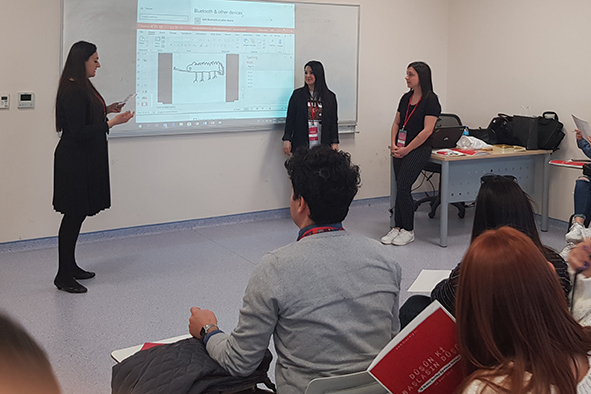 Also, our PS teachers Gizem Unal, Sevinc Gomel, Ozlem Ozsoydan and our PYP Coordinator Evrim Yalcin held a workshop on engaging students with games by considering their differences and including games into the learning process. 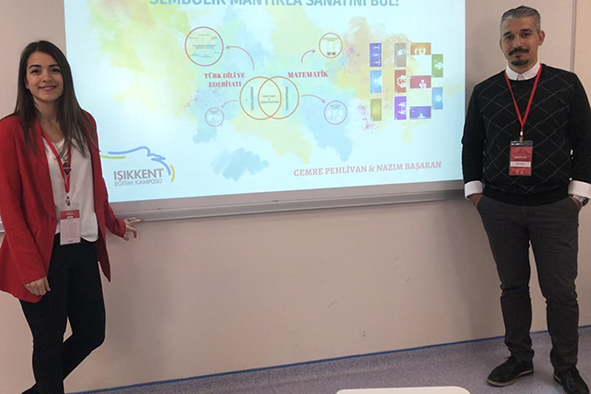 Besides, our HS Math teacher Cemre Pehlivan and Turkish teacher Nazım Basaran initiated an MYP project named “Sembolik mantıkla sanatını bul!” (“Find your art through symbolic logic!”). 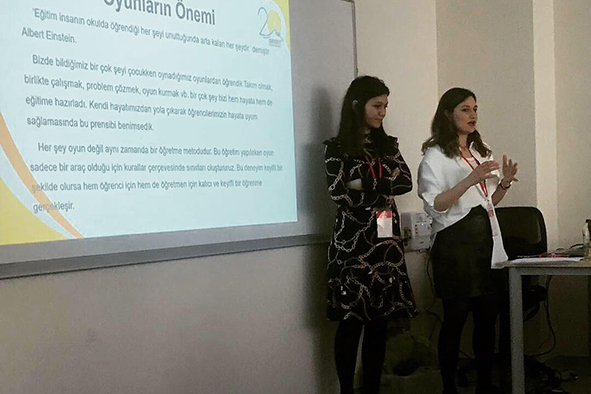 This project was selected as one of the 4 projects, which were found worthy to be presented in the seminars to be held in Izmir and Denizli. 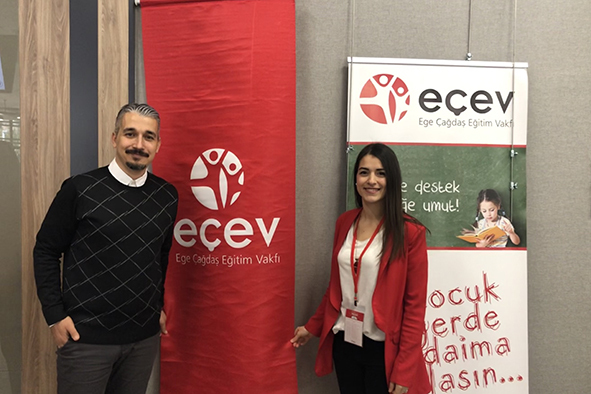 We heartily thank our teachers for their voluntary contributions to education.